You are at:Home»Health & Beauty»Are You Following These 5 Weight Loss Commandments? Are You Following These 5 Weight Loss Commandments? 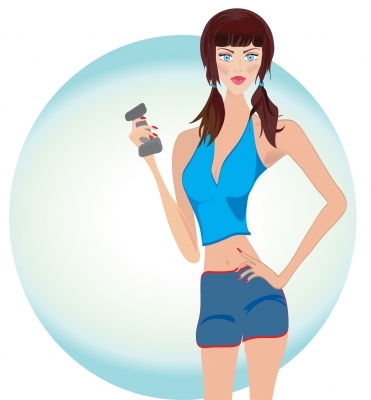 Why is it so hard to lose weight and maintain your ideal weight? Summertime is making many of us self-conscious about what we eat, how active we are and what steps we take to improve our well-being. Weight loss, theoretically, shouldn’t be so hard to decode. The rules are very straightforward. Yet diet after diet we fail to lose weight. That’s because we don’t seem capable of following some simple rules. These 5 weight loss commandments will ensure you do all you can to lose weight and improve your well-being! Don’t fall for fad diets and exercise programs others swear by. What works for your colleague might do absolutely nothing for you. Schedule an appointment with an expert nutritionist and see what diet changes you need to make to lose weight. – Eat Wisely, Wholesome, Well. The three W’s of true weight loss are these. Unless you completely cut off junk food and cut back on processed food and snacks, your scales won’t budge. Prepare your own food for at least two main meals of the day. Bring your own food to the office and say no to dining at fast food stores. – Toss the calorie book and scales! Calorie counting although a theoretically efficient approach to weight loss it can be a source of stress for a dieter. Calorie counting puts manyinto an obsessive, aggressive state of dieting that cannot be sustainable or healthy. Instead of counting calories, reduce your intake of carbs and fat and increase your intake of protein-based foods. This will allow you to lose weight without having to become obsessed with how many calorie there are in a tablespoon of olive oil. Not only you don’t need to count your calories, you don’t need a scales either! If you keep weighing yourself day after day and see no significant rewards for your efforts, it’s only naturally that you will want to give up. Only weigh yourself every 3 to 4 weeks. People preparing their own meals are more likely to be slimmer. Think of all your roommates at college. How many were cooking their own meals? How many of them have had the Freshman 15? When you are in charge of what you put in your meals you’re more likely to be more considerate over calories, quality of ingredients and preparation method. It’s not enough to work out. You need to work out smart to lose weight. Don’t force yourself into an exercise routine that could hurt your health or exhaust you. Don’t force yourself to practice what everyone else is practicing. Find an activity, fitness trend or sport that inspires and makes you happy. This will ensure you will stay on track!